Scott Balkan, the Managing Director and Head of Distressed Debt at Citigroup Inc., is leaving the banking giant to join hedge fund Silver Point Capital LP, after a tenure of eight years with Citigroup. 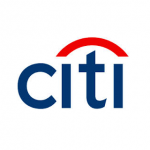 Citigroup has had a number of moves as of late, including the departure of Global FX Chief Jeff Feig last month, coupled with the hire of James Bindler to replace him. Overall, Citigroup has been experiencing a minor exodus of traders bound for hedge funds, given the prospects of higher wages – indeed, a series of sweeping regulations has mitigated risk, leading to a lull in bond trading, among other financial traded instruments. Mr. Balkan has served as Head of Distressed Debt at Citigroup for over two years, following a management shakeup that witnessed the departure of two senior traders in 2012. He now joins Silver Point Capital, which was founded by former Goldman Sachs bankers Edward Mule and Robert O’Shea in 2002.